Whose debt is it anyway? I’ve posted on the GERW figures previously, and particularly on the fact that what they show relates only to the position of Wales as a part of the UK, and tells us little about the position in which Wales would find itself as an independent state. The overall figures necessarily include estimates for some items of expenditure where the actual cost to Wales cannot be separately identified. One of those is the cost of servicing the national debt. As part of the UK, Wales is assumed to bear a part of that cost, and the simplest and easiest assumption to make is that the proportion notionally allocated to Wales should be based on the population of Wales as a proportion of the population of the UK, so an assumption is made that around 5% of the cost is attributable to Wales. That isn’t the only way of doing it, however. We could assume that it should be done on the basis of share of GDP; given that Wales lags behind the UK average in terms of GDP that would reduce the share attributable to Wales. We could do it on the basis of share of directly attributable public expenditure – given that identifiable spend per head in Wales is higher, that would increase the share attributable to Wales. But all of those methods relate to assessing the position of Wales within the UK. What would be the position of Wales at independence in relation to the national debt of the UK? Most nationalists – eminently reasonable people – have tended to assume that Wales would take a share, probably on the basis of population. But again, that isn’t the only option. 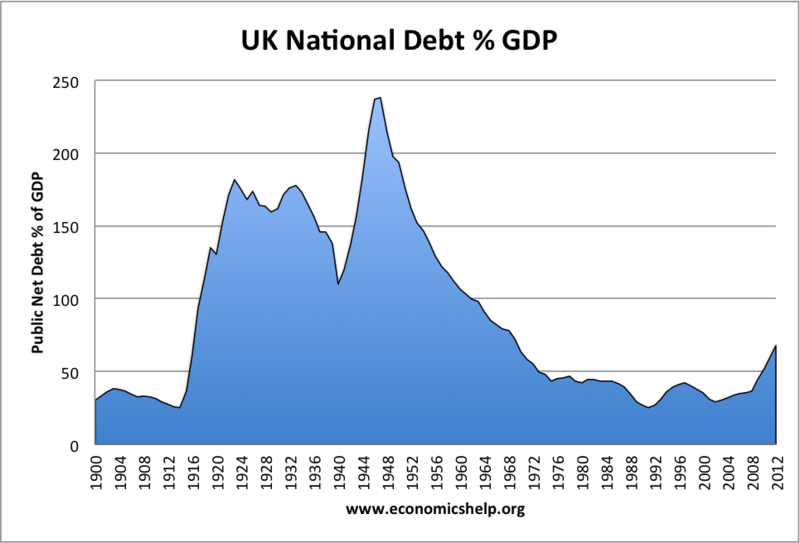 If we look at history, we could ask ourselves one simple question – of all of the countries which have over the last 250 years gained independence from the UK or the British Empire, how many of them took on any part of the national debt of the colonial power? The Thirteen Colonies of the US? Australia? India? Ireland? I don’t believe that there is a single example of any country gaining its independence which has agreed to take a share of the national debt of the colonial power over and above any debt built up by any pre-existing local administration prior to independence. And I’m pretty sure that the same applies to the former possessions of Spain, Portugal, France etc., as well as those of the UK. Indeed, at the time of the Scottish independence referendum, the UK Treasury itself made it clear that it was ultimately responsible for the whole of the UK’s debt. What actually happens will be the result of negotiation at the time; but perhaps our starting point should be rather lower than many are assuming – only debt actually incurred by the Welsh Government itself. It would make a significant difference to the economics of independence. And before anyone claims that that is tantamount to avoiding our obligations, let’s just remind ourselves – who is it that prevents the Welsh Government from borrowing as it sees fit, and therefore constrains the economic development in Wales which would be required to repay debt?